It was the craziest thing. We packed the box just as we had every year. However, when we opened it again on this particular year, something important was missing. Our little manger scene was beautiful, and we set it up every year in the living room. It had it’s own special table on which to be displayed. Each piece was carefully wrapped in tissue paper and stored in a large box in the attic until the next holiday season. As we rummaged through the box and the tissue paper, we simply could not find this one important piece for our manger scene. It was, in fact, the essential piece of all. We had lost the little wooden baby Jesus. After looking everywhere, we finally had to accept the fact that our beautiful manger scene would have to be displayed without a baby Jesus. Someone got the clever idea of wrapping some tissue into a shape that looked like swaddled clothes. We threw a little bit of scotch tape on the tissue to hold it into place. Then we placed it in the little trough where Jesus was “supposed” to go. If you’d seen our manger scene, you would have thought there was a little swaddled baby lying there. Most people did. But, our family knew the truth… there was no Baby Jesus in that tissue. The piece that was to be at the very center of the entire holiday season was forever lost. And, if we are not careful, we can also go through the entire holiday season without really putting Baby Jesus at the center of our celebrations. How can we make our celebrations over the coming days more focused on Him? 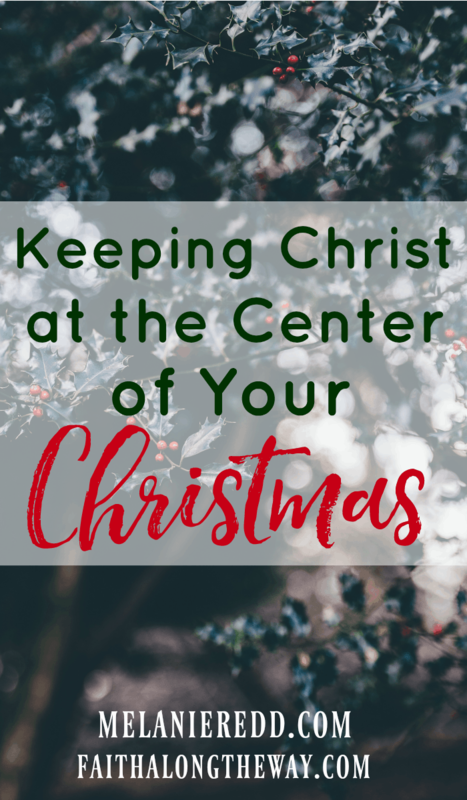 First, we can keep Him right in the center of things by personally KNOWING the Christ of Christmas. Not, do you know about Him; but, do you personally know and enjoy a relationship with Jesus Christ? A = Admit that you are a sinner in need of a Savior. Even the kindest and most compassionate person has sinned and needs a Savior. B = Believe that Jesus Christ is the Son of God. To enter into a relationship with God, we must trust in His Son, Jesus Christ, and believe that He alone can save us. C = Confess your sin to Jesus and ask for His forgiveness. Why not take a moment right now and talk to God? Admit you are a sinner in need of a Savior. Believe that Jesus is God’s Son. Confess your sin to Him and ask for His forgiveness. If you ask Father God to save you, He will certainly save you! Wouldn’t it be tragic to go through the holidays without really knowing the Christ of Christmas? Second, we can keep Him right in the center of things by WORSHIPPING the Christ of Christmas. 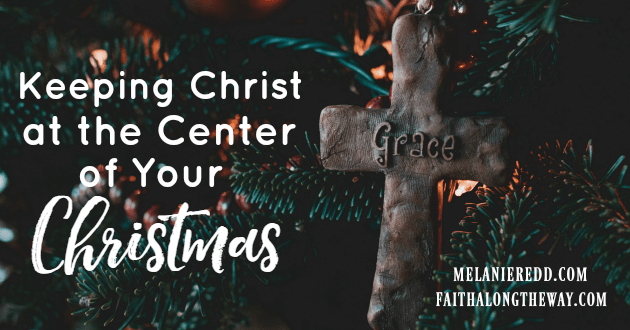 As you make your holiday plans this season, purposefully schedule events, shows, movies, and other things that will enable you to worship Christ Jesus. Don’t make everything about the gifts, the travels, the food, and the parties. Intentionally plan times to worship as a family and on your own. Turn on music that will lead to worship. Attend several holiday programs that will lead to worship. Read books, devotions, and watch movies that will lead to worship. Plan to join in several worship services during the holidays. Personally, take time daily during these holidays to look up to heaven in grateful worship. Wouldn’t it be sad to go through an entire holiday season without once worshipping Jesus! Third, we can keep Him right in the center of things by SHARING the Christ of Christmas. There are so many wonderful ways you can share the love of Christ throughout these holidays. 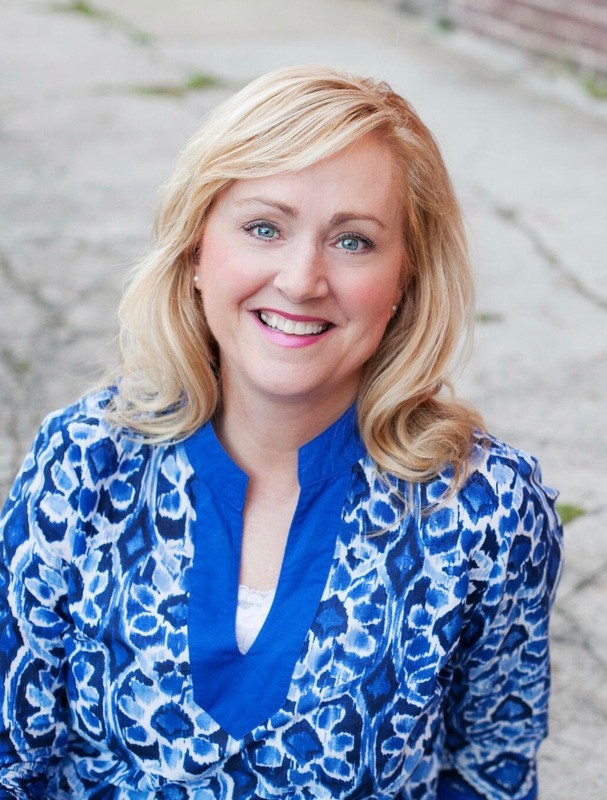 You can share, give, invite, include, and make Him known to friends, neighbors, and families. People seem to be the most receptive to Jesus at this time of the year. Why not pray and plan to share the hope of Christ over these next few weeks? Wouldn’t it be empty to go through this holiday season without sharing Jesus with others? I fear that without intentional planning, preparation, and determination, we will just be rolling up tissue paper, throwing on a little scotch tape, and pretending to make these holidays about Him. I don’t want a manger or a home or a life that only pretends to have Christ at the center. I want Jesus to be what these holidays are all about.